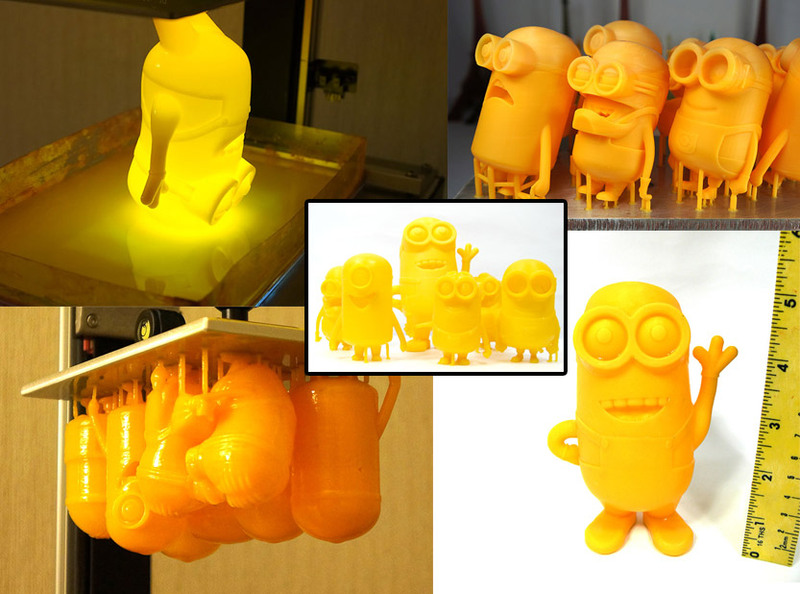 Minions printed with Titan1. With a HD projector, Titan1 is also capable of printing small objects in volume. Here we printed 8 Minions at a time.